Here are five awesome hair products I love the idea of, or can’t live without. 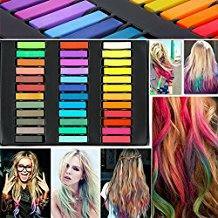 Forget the hair dyes, now you can color your hair with chalk! Have you ever wanted to spice up your hair and give it a rainbow makeover, but only have it up temporarily? It could’ve been your wildest dreams once upon a time, but now you can easily do that with hair chalk! (Regular ones work too), they’re temporary and non-toxic from what I’ve read, and seem like a great way to have some fun. However as all dyes are, it’s probably not suited for black hair, or it would take a lot more work to get it to show. I first came across this while just browsing a website that sold random hair products. 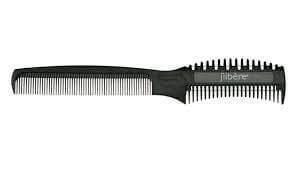 Wow, this thing has saved me from going to the hairdresser so many times, which meant it saved me a lot of money! It is able to cut layered hairstyles very well, particularly fringe (bangs). You can use that on yourself or on others, and it’s nowhere near as hard as using a regular old scissors. 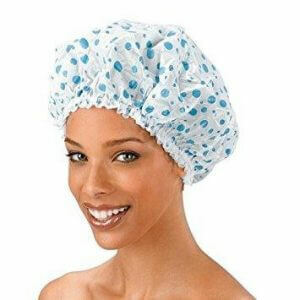 I don’t know what I’d do without my shower caps, since I don’t wash my hair every day and hate it getting wet. My favorite ones are those pretty flowery pattern ones, haha! Natural soaps always feel better to use than the store bought ones, because personally, they irritate my skin a lot less. For the best soap I’ve ever used, I recommend Carley’s Clear and Smooth Shea Butter Soap. That soap is amazing on the hair and face and leaves it feeling so clean and soft. I always use soap to wash my hair before any shampoo, because I find that shampoo can never seem to get rid of all the oil. I don’t like using store bought soap because they always seem to irritate one part of my body. 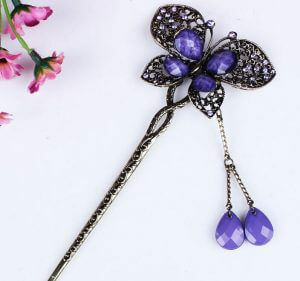 I adore beautiful Ancient Chinese hairpins like this, because I absolutely love everything of the Ancient China culture. This is a common type of hairpin you weave in thick, beautiful long hair.